National Immunization Awareness Month is observed every year in the month of August. The goal is to increase public awareness of the importance of immunization. The occasion is a perfect time to remind our family, friends, and colleagues to stay up to date on their vaccinations. Just so you know, vaccination is when a vaccine is given to you usually in the form of an injection. Immunization is what happens inside your body after that. 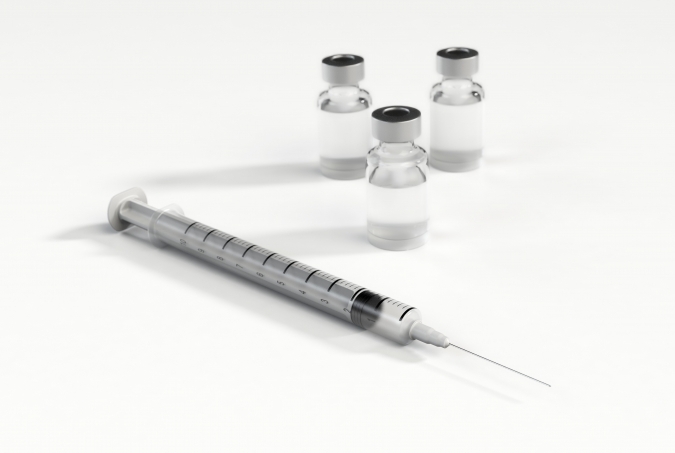 What the vaccine does is to stimulate your immune system so that it can recognize a particular disease and protect you from future infection, thus making you immune from that disease for a limited period of time. 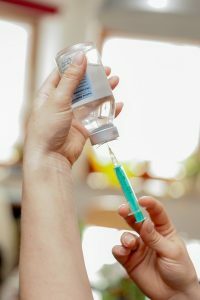 Immunization can protect people of all ages from serious illnesses and diseases that could result in amputation of an arm or leg, hearing loss, paralysis of limbs, convulsions, brain damage, and even death. As important as having routine vaccinations is the knowledge of which shots you need and when to get them. The best place to receive such information is at the doctor’s office. The local county health department can also give help and provide you the vaccinations you need. Remember that without vaccinations, you, your loved ones and friends face a greater risk of catching a vaccine-preventable disease. July/August—Back to School: Ready for school? August 5-11—Pregnant Women: Protect yourself and pass protection on to your baby. August 12-18—Babies and Young Children: A healthy start begins with on-time vaccinations. August 19-25—Preteens and Teens: Ensure a healthy future with vaccines. August 26-31—Adults: Vaccines are not just for kids. In the United States, vaccines have eradicated the wild-type poliovirus and smallpox. It has also significantly decreased incidents of other vaccine-preventable diseases. Vaccines are truly effective and safe, and scientists continue to work to make them even safer. This Immunization Awareness Month, let us not forget about the health of our veterans and their families. These veterans are our nation’s living yet unsung heroes who risked their lives on the battlefields and sacrificed a lot for us to continue enjoying our freedom and our security. Now that their fighting days are over, many of them still face challenges as they continue to have difficulty in transitioning to civilian life. Many of them live impoverished lives as they are unable to find suitable civilian jobs for their military background. Some of them still suffer from service-connected injuries that have resulted in physical disabilities and still untreated mental disorders. Some have become homeless as a result of extreme poverty, forcing them to beg on our streets and sidewalks just to have something to eat. It’s about time we to return the huge favor they’ve given us. You can help improve and protect their health and improve their living conditions by donating a car or any other type of vehicle to Veteran Car Donations. This Immunization Awareness Month, let’s give a thought to our struggling veterans. Call us at 877-594-5822 and get a maximized tax deduction, free towing service, and other rewards for your car donation.